The Agreement will facilitate the consumers of 21 District town & 20 Upazilla town of Khulna, Barishal division and greater Faridpur under WZPDCL to pay their electric bill under GP Bill pay service. 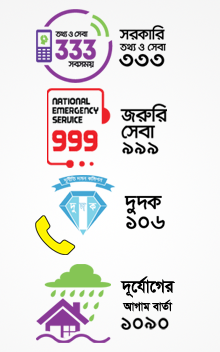 With the launching of this service GP will be able to provide Bill Pay services to nearly a Million households of 21 Districts & 20 Upazillas of south-west zone of the country .This is going to be the largest area for GP to cover for Bill Pay service after BPDB Chittagong zone. Chief Finance Officer Mr. Dilip Pal and Chief Corporate Affairs Officer Mahmud Hossain were also present to grace this event. Through this GP services unbanked population of West Zone will also be able to pay their electric bill using mobile phone simply in a very reliable, convenient, easy way saving time, which is useful in the daily lives of our customers. This innovative system of GP has made availability of Bill Pay POS (Point of Sales) from where customers can pay their bills 24/7 without standing in the queue.